We have extensive teaching experience from primary to university level, including special needs. 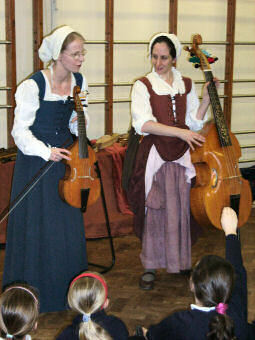 Costumed workshops include: ‘Music for Henry VIII’, ‘Shakespeare’s Music’. 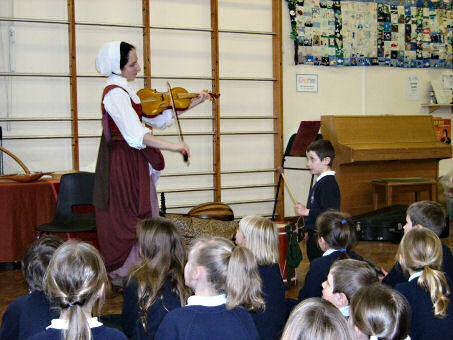 Instruments include vielle, rebec, lute, bombard, harp, recorders, crumhorns, viols and sinfonye. Dance, music and song for audience participation. 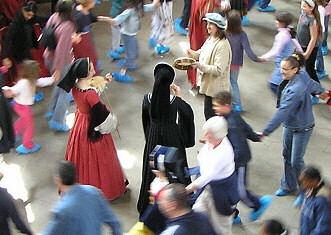 We have given workshops on early music, song and dance for organisations including Shakespeare’s Globe; the Shakespeare Institute: National Maritime Museum; King's College, London; Birkbeck College; Emory University; Cadi Ayyad University; and several schools - primary, secondary and special needs. We are currently working on the Walthamstow Notes project with Clio's Company.